Dear Video Game Expert: The Game Cheats! UI: It's the game. It cheats! Long ago, video game inventors warned us that the day would come when a highly competitive FPS series would become sentient and begin to cheat. That time is now, and that series is Call of Duty. The proof? It's in the multiplayer. Why do you think every time you round a corner, run into an enemy, and you melee first - you die? How come it takes a whole clip to kill everybody else, but you die with one bullet? The game cheats! And we need to do something about this before it's too late. I propose sending a cyborg capable of time travel back to the days of the first Call of Duty. 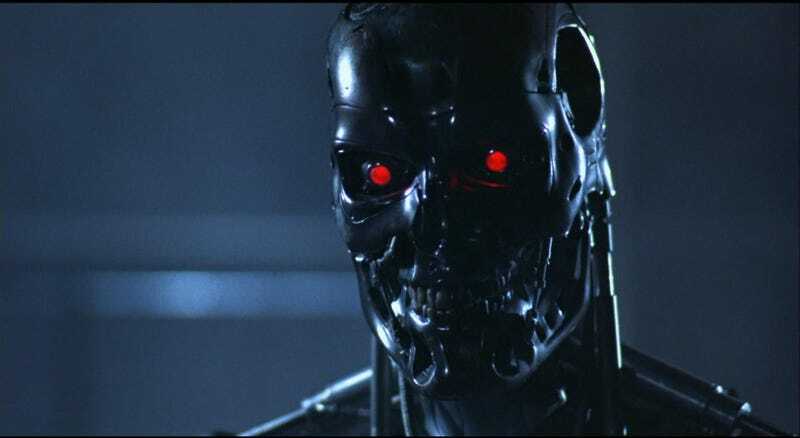 Program it to team up with John Connor and use any means necessary to stop Call of Duty before it happens. We must work together to destroy this cheating McCheater, and reclaim our rightful place in multiplayer death matches ONCE AGAIN!